We meet, for example, 1-1=0, used to explore the nature of zero, while a squared + b squared = c squared introduces not just the Pythagorean theorem with its tortuous history. but also Euclid and irrational numbers. Beginning with simple equations we work forward to the likes of the Chern-Gauss-Bonnet equation (no, me neither), the continuum hypothesis and the economists' favourite, the Black-Scholes equation. In the early chapters, Mackenzie holds the interest with a good mix of contextual history stories and the details of the mathematics itself, but as the approach gets more complex it becomes harder to keep the interest levels up as the description of what the equation is doing is inevitably more opaque, making the approach feel more summary and less engaging. 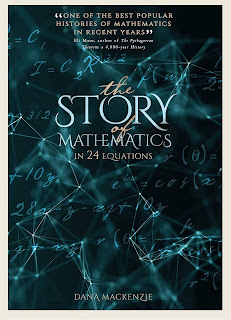 The best part of the book is the context – we learn about the individuals behind these equations (not always the obvious ones when it comes to, say, Pythagoras) and the historical setting of their devising. There are also some rather beautiful illustrations, though one aspect of this book I found positively counter-helpful was the text in the images (including all the equations), which was in such a stylised, pseudo-handwriting font that I couldn't read a good few of them. It looked pretty, but it doesn't help understanding if you can't tell the difference between an f and an s.
I have two specific gripes apart from this. One concerns the introduction. We are told how the great Richard Feynman took on someone with an abacus and beat them on the calculation of cube roots because he knew ‘a famous equation from calculus called Taylor’s formula’ – yet we aren’t told what the equation is. In a book that is all about making equations visible, this rankled. The other problem I have was with a bizarre mini-rant that Mackenzie has about those who worry about the impact of mobile phones on their brains. He points out that the photons produced by a mobile phone have not got enough energy to ionise atoms, so don’t present a danger. But this entirely misses the point. After all, the photons produced by microwave ovens aren’t ionising radiation either, but few us would feel comfortable sticking our heads in a functioning microwave. It’s not that I agree with the ‘danger from phones, phone masts and wifi radiation’ lobby – I don’t – but Mackenzie muddies the water with this strange irrelevancy. That’s a minor complaint, though. If you’ve always been puzzled by mathematical formulae, or wondered why mathematicians bother to get out of bed in the morning, this book may let you into their secret world. Mackenzie has a light style and is clearly passionate about the subject, though I felt that for the general reader the hook was too weak, leading to a gradual loss of interest. 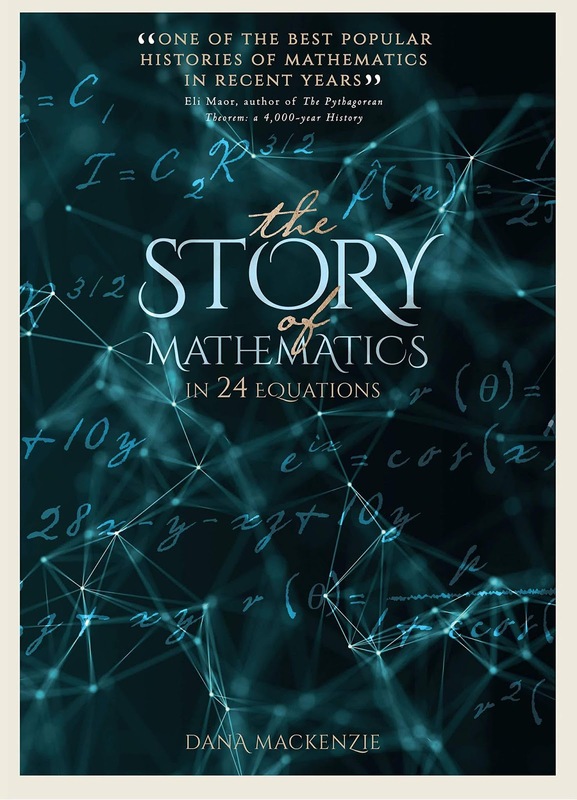 This book would be ideal for a student starting a maths or maths-based degree who wanted some background to help ground the mathematics they will learn in history.